Nestled in the Balkans to the west of the Black Sea, Bulgaria is an exotic nation of stately churches, historic villages, thrilling winter sports and sublime beaches. Populated by over 7 million people, it is slowly becoming a more popular tourist destination. Top attractions include the Alexander Nevsky Cathedral in Sofia and the buttery beaches of Varna. Cheap flights to Bulgaria are now available, so prepare to be blown away by its stunning scenery and historical landmarks! The country’s hub airport is Sofia International Airport (SOF), a 25-minute drive from the city centre. From the alpine woodlands along the Balkan Mountains and well-preserved national parks to the sprawling sugar-sand beaches fringing the Black Sea, you’ll truly be surprised by the sheer beauty of Bulgaria’s landscapes. UNESCO-acclaimed towns and villages house much of Bulgaria’s history and charm. See the ruins and crumbled facades of orthodox churches, delicate frescoes and Neo-Baroque buildings – testaments to Macedonian and Soviet influences. The locals sure know how to party like rock stars and, with such a vibrant nightlife pulsing through the major cities and beach resorts, you’re bound to have a great time dancing the night away in a jazz club or beach bar. Due its mountainous location, Bulgaria has a fairly continental climate, with warm Mediterranean influences breezing along the east coast. Summers (June-August) are typically hot and dry with bursts of thunder showers, while winters are extremely cold with lots of snowfall. Skiing fanatics can hit the glistening slopes between December and April, when ski resorts are teeming with activity. 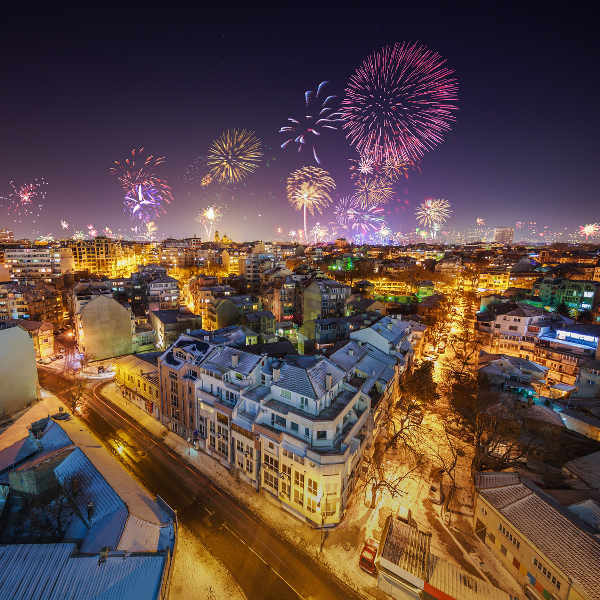 Major cities like Sofia buzz with Christmas cheer, festivals and night markets, so you’ll never be at a loss for things to see and do. 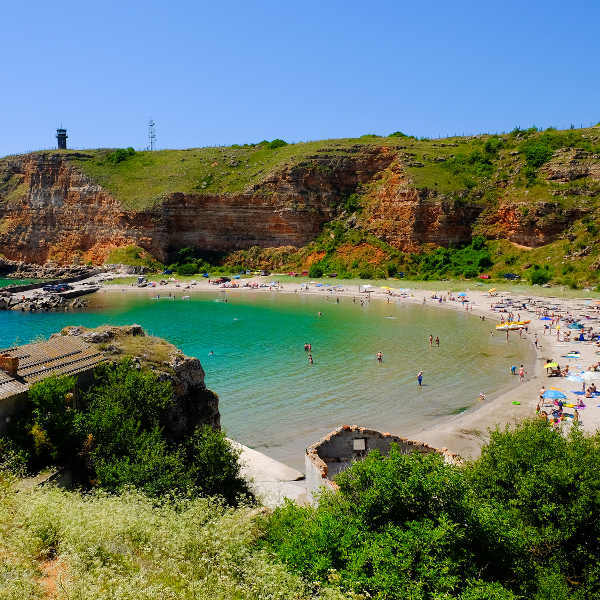 To avoid the summer crowds and high prices, the best time to visit is in the shoulder seasons of March-May and September-October, when the beaches are still warm and inviting, and hiking the lush landscapes is much more pleasant. Bulgaria is an underestimated destination, rich in historical landmarks, alpine scenery, sprawling coastlines and a vibrant nightlife. 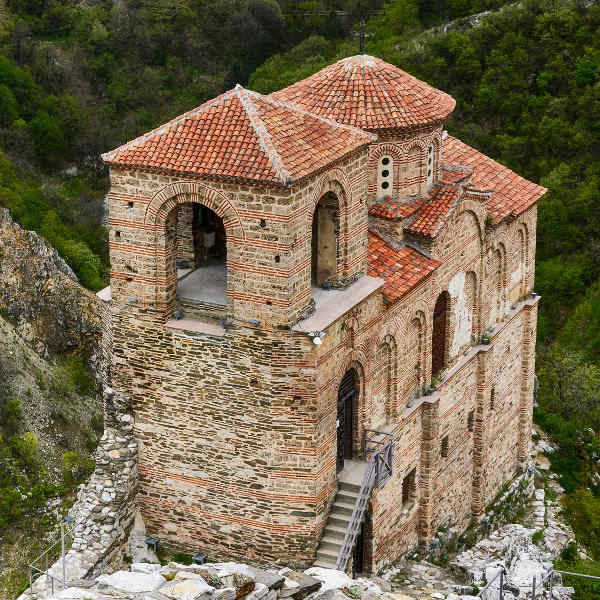 One of Bulgaria’s most fascinating charms is its old, historical towns. Wander your way through the cobbled alleyways of Plovdiv, gazing at the stone-clad buildings and Byzantine arches, while enjoying its upbeat nightlife of jazz and indie bars. Zheravna’s rustic appeal lies in its iconic architecture and restored stone cottages lining the cobbled streets. Similarly, the unbridled history and culture of Veliko Tarnovo is depicted in its terracotta roofs and Byzantine churches peppered amongst wild alpine woodlands. History buffs will cherish the archaeological wonders in Perperikon, where traces of human settlement date back to 5000 BC. Sofia is the diverse capital city, with its Soviet remnants, orthodox churches, art galleries and trendy bars backdropped by the snow-capped Vitosha Mountains. Bulgaria’s landscapes are equally impressive as its history. Pirin National Park is a UNESCO World Heritage Centre bordering Greece and Macedonia. It is a paradise for hikers and nature lovers with its scenic trails, crystal lakes and alpine valleys. Hear legends of old whispering through the crags of the Belogradchik Rocks, one of Bulgaria’s most famous natural phenomena. Dust off your ski boots and make your way to the prestigious ski resort of Bansko in the winter. When you’ve had your fill of the velvet slopes, enjoy the jazz bars and tavernas nestled in the foothills. You haven’t appreciated all of Bulgari’s treats until you’ve explored its gorgeous coastline. The ultimate party hotspot is Sunny Beach – where nightclubs, booze cruises and hedonistic bars are the order of the day. For a less rowdy coastal experience, visit the picturesque, white-washed seaside village of Nessebar. Varna is a summer favourite – it’s orthodox architecture, lively beach bars and seafood restaurants make it a popular spot for any traveller. Compare several airlines, and book your cheap flights to Bulgaria online at Travelstart! Bulgaria is a relatively safe country with no major crime known to occur towards tourists. Nonetheless, practise the usual vigilance and safety precautions as you would in any foreign country. Avoid flashing wealth and keep personal belongings close-at-hand, especially in crowded areas. Walking around at night is generally fine though, in bigger cities like Sofia, avoid dark and deserted streets at night time. Also, watch out for the potholes! To avoid being scammed, use taxis with regulated meters and check the going rate with locals. Do not exchange money on the street, rather use an exchange bureau or bank to avoid cases of fraud. When walking in the forests and mountains, be aware of wild bears and wolves – do not wonder off the designated paths. There are no mandatory vaccinations to enter Bulgaria, however, you may want to consider being immunised against rabies as there are many stray dogs roaming the streets. Healthcare facilities are good in the cities, but hospital conditions do vary.